Sunday night, the Philadelphia Eagles handed the New England Patriots their second loss of the season. To make matters worse, this was their second loss in a row. It was only fifteen days ago, when the Pats were looking like a team that might have a perfect season again, which is what makes this so disappointing. 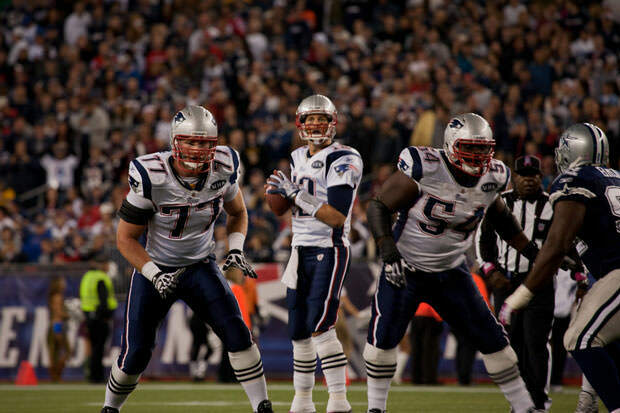 Tom Brady was looking too good and the rest of their winning machine was churning as well. Last week it had been the Denver Broncos and fewer people were surprised than last night as the Eagles strolled into town and stole one under the noses of Pats’ home fans. To be honest, the Pats were not up to full speed Sunday night, missing wide receiver Julian Edelman and tight end Rob Gronkowski, both quite essential for the team. Early last night, however, no one would have noticed. The Pats were doing their thing, jumping out to a 14-0 lead by the second half of the second quarter. Another win seemed locked. Immediately after that second touchdown, however, things started going downhill. After an ill-conceived dropkick, the Eagles had a successful drive that ended in a touchdown with 4 minutes left in the first half. They would tie the game up before halftime, thanks to a punt-block and conversion in the last seconds of the half. In the second half, it took the Pats almost half a quarter to reach the Eagles’ end zone and everyone thought that this is the point where NE once again takes control of the game. Instead, the Eagles’ Jenkins intercepts Brady’s pass and goes for a 100-yard touchdown on the other end. Not long after, the Eagles’ Darren Sproles returns the punt for another touchdown, this time a 80-yard one. The Pats are down 28-14. To end the 3rd quarter, Brady throws another interception. The fourth quarter goes along the same lines early, with the Eagles scoring another touchdown, putting this game seemingly out of reach for the Pats, 35-14. Seemingly. Believe it or not, but through sheer determination, and some luck, the Pats’ get back into this one, scoring two touchdowns over the next few minutes. With three minutes left in the game, they are down by only 7. 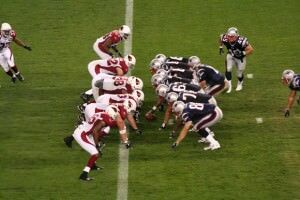 With one more minute left, they manage to get a hold of the ball and it is time for one of those trademark Brady drives. Only this time, he hasn’t got the receivers to handle his passes. The game ends 35-28, with the Eagles handing the Pats their first home defeat this season.